Valentine’s Day Public Sea Turtle Release in Key West – The Turtle Hospital. Rescue, Rehab, Release. Join us on Thursday, February 14th at Higg’s Beach, Key West, behind Salute! restaurant, 1000 Atlantic Blvd. for a Public Sea Turtle Release at 1:00 p.m.
Bubba was found floating in October of last year. Bubba had ingested fishing line. 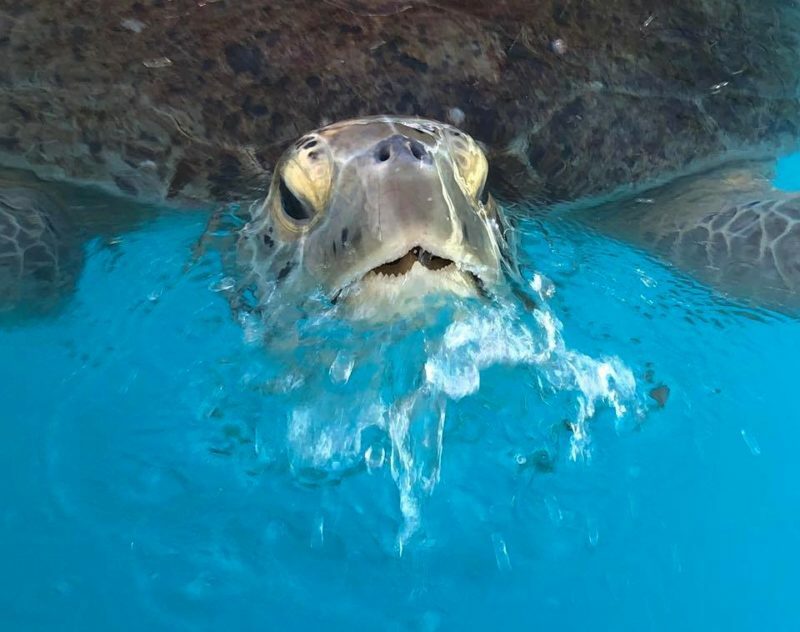 Treatment at the Turtle Hospital included lactulose, broad spectrum antibiotics, fluids, vitamins and a healthy diet of lettuce, fish and squid. Sea turtle courtship activity usually occurs several weeks before the nesting season. Nesting season in the Keys starts in March…Bubba is being returned to sea just in time to find a mate! Bring your sweetheart and join us to help cheer for Bubba as he returns to his ocean home. Bubba will arrive in the Turtle Hospital ambulance at 12:30 p.m. with release promptly at 1:00 p.m. See you there!